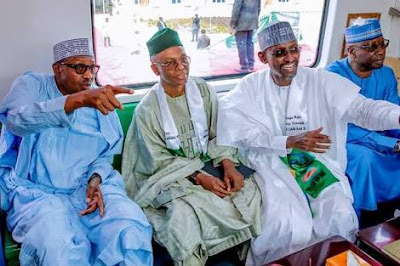 President Muhammadu Buhari yesterday urged Nigerians not to allow those who plundered the nation’s commonwealth between 1999 and 2015 return to power. Funny enough, over 75% of those working with Buhari in the APC today were in government between the said period. There was a mild drama at the NEC Hall of the APC National Secretariat, Abuja, where he submitted his nomination form. The drama was created by the insistence of APC National Chairman Adams Oshiomhole that President Buhari should pay N100 before collecting his party’s digital membership card. Oshiomhole also told the President that the party now has over 15.6 million members across the country. 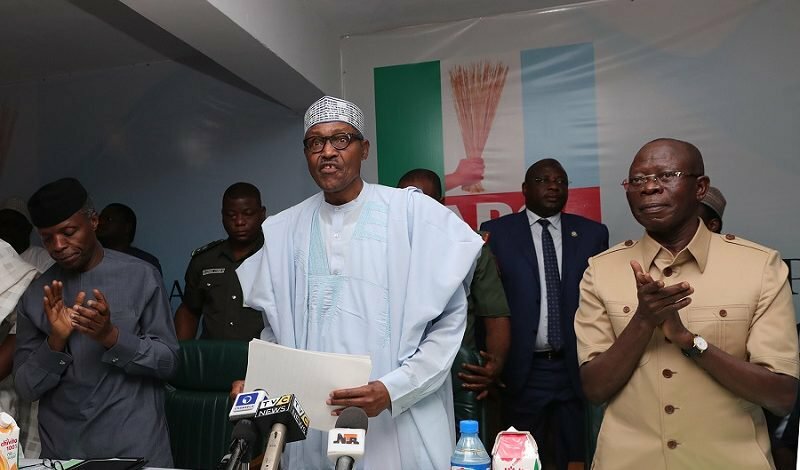 President Buhari, who expressed appreciation to those who contributed money to buy the form for him, assured all that if given the mandate and reelected next year, he will continue to serve the country to the best of his ability. He said: “I am here in person among friends and colleagues to put my name forward to my party, the APC seeking nomination to contest the presidential election next year 2019. “Fellow party members, I am taking this step with all humility, sense of responsibility and unquestionable desire to serve and protect the interest of all Nigerians. “I am very grateful to those dozens of organisations who have teamed up and contributed funds to purchase these forms. I assure them and rest of Nigerians that if nominated, and if elected, I shall continue to serve you to the best of my abilities.